Google Play Store is having the largest collection of Android games. We all know that one can play these games on Android smartphones and tablets easily by downloading from Google Play store, but if you are not having an android device then you can use it on your PC too. If you want to play Android games on PC it is not a compulsion that you should have an Android device with you. You can follow different methods to play android games on PC. By applying these methods, you will be not only able to play normal games but also the high end games like Asphalt 8 on your laptops and computer. So if you are really interested in playing android games on pc and looking for some helpful ways to play android games on computer or laptop then follow these below explained guides of how to play android games on PC. Although, there are plenty of ways available on the Internet for playing android games on computer, but here we have described only some of the easiest ways to play Android Games on a Windows computer. The first method which makes to our guide of how to play android games on PC is using the most popular Android emulator. Bluestacks app player is a powerful Android emulator which can be used to run all the Android games and applications on the PC. According to the recent calculation, more than 90 Million Android users are using Bluestacks to run android games on PC. The software will bring Android interface on your computer. Bluestacks app player is compatible with Windows, Mac, and Linux operating systems. Follow the steps shared below to play android games on PC using Bluestacks app player. Step (1): The first thing which needs to be done is downloading the setup file of Bluestacks android emulator. Click on this link to download Bluestacks app player on your laptop or computer. Step (2): Start the installation and follow the steps which you see on your screen to install this software. Step (3): Once the app player is installed on your computer, you have to open it. Step (4): Once the Home screen is opened, you have to add your Google account which will sync your Google account with the app player. Step (5): After your Google account is synced you are ready to play android games on computer. Go to My Apps and search for the games which you want to play. Step (6): You will see the game you have searched in the search results. Now you are required to open the game and then click on the Install button which will start the installation of the game. Step (7): Once the games are downloaded and installed, you will be able to play android games on computer perfectly. Step (8): All the games which are downloaded with Bluestacks will be available in My apps section of the software. Genymotion is another android emulator which you can use for playing android games on PC. This software will help you in playing android games on PC easily. Genymotion is not famous like Bluestacks but it is popular among the android development community. The software works as a virtual drive and hosts any android device like Nexus 5, Nexus 9. It is easy to play android games on Pc using Genymotion Android emulator. 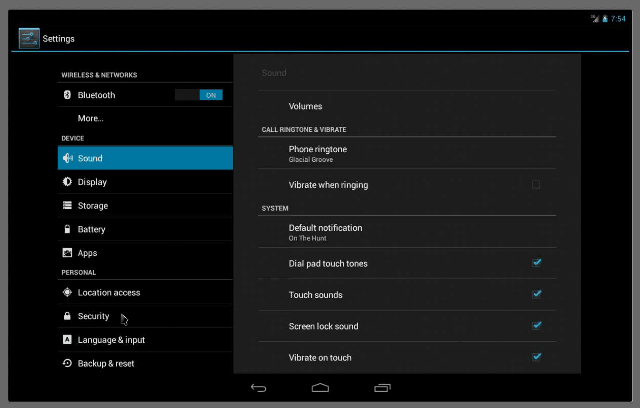 You can follow the steps shared below to download and install Genymotion android emulator. Step (1): First of all, you have to open the Genymotion website so that you can download the software on your PC. Click here to visit Genymotion website. Step (2): Once the website is opened, you have to register for an account. Create the account and verify your details. Step (3): Once your account has been verified, sign in with your details (username and password). Step (4): Now you have to open the download page on the website or you can just follow this link (www.genymotion.com/download) to directly go to the download page of Genymotion. Step (5): When you visit the download page, please don’t select Get on Genymotion without Virtual Box. Step (6): The downloading of the software will begin and once downloaded, you are ready to install Genymotion on your computer. The installation process is simple as you just have to follow the steps which you see on your computer screen. Step (7): Once the software has been installed on your computer you will be asked to log in to the account. You have to use the same login details which you used to login to the website. Step (8): Once you are logged-in to Genymotion android emulator, you have to click on the + button in order to add Android device on your computer. Step (9): You will see a list of devices displayed in front of you. From here you have to select one as per your choice so that you can download it. Step (10): Once the selected device is downloaded and installed, you will see it under the virtual devices list in the Android emulator. Step (11): Select the device and then you have to click the Play button. Step (12): It will take some time to boot that device as you are doing it for the first time, wait for it. 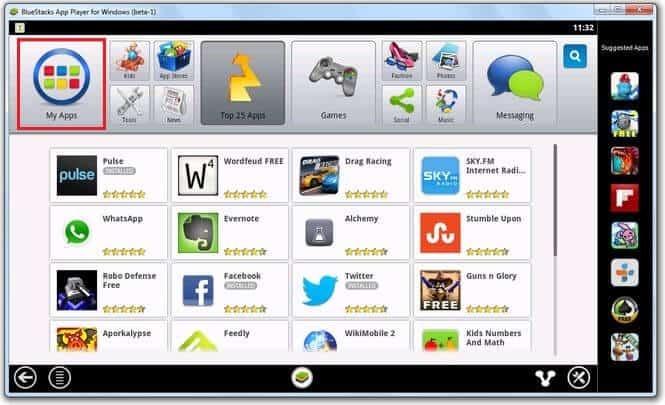 Step (13): Now you have to download android games which you want to play it on your PC. Once downloaded, drag the game and drop it in the Genymotion window. Make sure the file is with .apk extension. Step (14): File transfer in Progress will be displayed on your computer screen. Once the game is installed, it will automatically start running. This is how to run android games on PC using Genymotion android emulator. This is the third method which makes to our guide of how to play android games on laptop. Google announced that they were going to bring all the Android games and apps on Google OS during the Google I/O event took place in 2014. This was definitely a great news for all the chromebook users. The Arc Welder by Google will help you to run Android games on PC. You can download and install this application on your Google Chrome browser and the play android games on PC. We all know that all the games which we download come with the .apk extension. This app will convert the .apk file into a google chrome extension which will easily allow you to play any android game on PC. Follow the steps shared below to play android games using Arc welder. Step (1): The first thing which you have to do is download Google chrome and install it on your PC if it is not already installed. Step (2): Once Google chrome is installed on your PC, install Arc Welder extention from the google chrome web store. Step (3): It will take some time to download as the app is of 150 MB instead of 11 MB, what is mentioned on the app page. Step (4): Once Arc welder is successfully downloaded, open it. Step (5): Now you have to select a directory which the app will store all the games and apps. 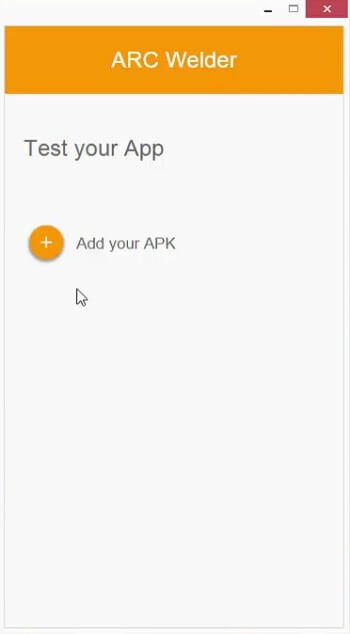 Step (6): Once you have selected the directory, download android games which you want to play and then click on the + button to add the.apk file which you downloaded earlier. Step (7): It will take some time to load the game or app which you have selected. Step (8): Modify the orientations as per your choice. Step (9): Once you have completed all the requirements, finally click Launch app button. This is how you can play android games on computer using Google Chrome. There is one downside of this method and that is you can only play one game at a time. If you want to play more than one game you have to uninstall the current game and then install the new one. This is the fourth method which you can follow to play android games on PC. Android SDK is also an Android emulator and, in fact, it’s the official android emulator. The emulator is ideal for all the developers, but you can also use it to play all your favorite android games. Not only you can play your favorite games but also use Android SDK to run Android applications like Whatsapp, Kik Messenger, and many others. There is one downside of using Android SDK and that is the slow speed which will stop one from using this software daily, however if you want to test your apps you can do it easily and at swift speeds with Android SDK. Follow the steps shared below to download and install Android SDK on your computer. Step (1): First of all, you have to download Android SDK. Click on this link and the official website of Android SDK will be opened. Step (2): Now you have to click the SDK Manager program to start downloading. Step (3): Once the software has been downloaded, install it. The installation method is simple as you just have to follow the instructions which you see on your computer screen. Step (4): Once installed, open the Android SDK software and go to Tools. Tools are present in the top menu. Now select Manage AVD’s from here. Step (5): In order to play your games, you have to create a virtual drive like we created in Genymotion and then install any Android device on it. Step (6): Create the virtual drive and install any android device which you want to install. We suggest you to download nexus 9 as the tablet have big resolution and also come with Android Lollipop. Step (7): Once installed, you have to select on the virtual drive and then click on Start button. Step (8): The android emulator will start working and you have to drag the app which you downloaded the same way you did in Genymotion. Step (9): The installation will begin and once installed the game will automatically start. This is how you can easily use Android SDK to play Android games on PC or laptop. This is another method which you can follow to play android games on computer. Android X-86 is known to be as the native version of Android operating system and you can use it to run android apps on computer. This method will only work on computers or laptops with Intel and AMD processors. This method is a bit complicated as in order to play the games, you have to install Android X-86 just like the way Windows or Linux is installed on computers. There are only limited devices which are compatible Android X-86 which are Samsung Q1U, Dell Inspiron Mini Duo, Lenovo ThinkPad x61 Tablet, Viewsonic viewpad 10, Asus EEE PC. If you are having a virtual machine you can install Android X-86 on it and run it from a Linux or a Windows computer. Just visit the Android X-86 website to download and install it on your computer. Just like Android X-86 project, Live Android is a complete android operating system. The operating system can be installed both on laptops and computers. One of the things which we don’t like about Live Android is its interface. The interface is bit old and the android version which Live Android uses is outdated. You can use Virtual box to install Live android on your computer or tablet and play android games virtually. This is the last method for the people who are wondering that how can i play android games on my PC?. Manymo is android emulator just like Bluestacks app player and Genymotion. One of the best things about this Android emulator is that you don’t have to install it. You can open Manymo emulator on your web browser and play all your favorite android games. If you don’t like the process of installation or your computer is not having good hardware to play android games, Manymo is the best option for you. You just need a good internet connection so that games are played properly. The service is available for free. If you are not having an Android device to play your favorite games you can follow these methods as these are the best options you are having. If you want to get the ultimate android gaming experience then you should try Bluestacks app player as it is the best player for running android games. One thing which you need to keep in mind is that you will be able to play free games only by following these methods. You can also follow the same guides if you want to run android applications like whatsapp, Kik Messenger, Hike or any other. You might find it difficult to play the games initially as android games are meant to play on touch screen but you will get used to it with time. We hope that this guide helped in answering your question “can I play android games on my pc? Let us know using the comments section below – which method are you following to play android games on PC?